The Ceylon Electricity Board as well as the Ceylon Petroleum Cooperation are reported to be sustaining heavy losses. 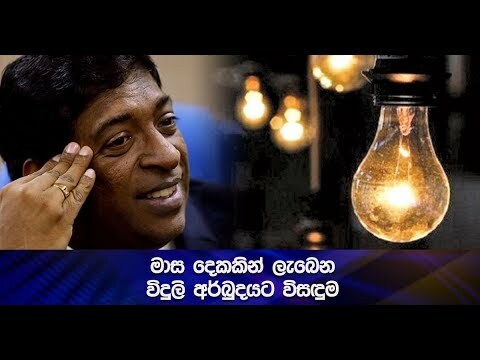 This fact resurfaced today following a remark made by Deputy Minister of Finance Dr. Sarath Amunugama, who partook in a ceremony to mark the inauguration of the web site of the Public Utilities Commission. It has been estimated that the CPC which sustained a loss of 94 billion rupees in 2011 would sustain a loss no lesser than 100 billion rupees during 2012. According to sources at the CPC this loss has been incurred by the cooperation since fuel is being sold way far less than its import price. Meanwhile data revealed by the Central Bank illustrates that the CEB during the year 2011 alone has sustained a loss of 25.5 billion rupees. Against this backdrop the CEB states that losses have been incurred since electricity is being provided to consumers at low costs. However Deputy Minister of Finance Dr. Sarath Amunugama today noted that the CEB as well as the CPC were weighing down on the countries economy. As opposed to this situation Minister of Power & Energy Patali Champika Ranawaka who presided over a function held in the Hanwella area today stated that losses at the CEB were being sustained due to the absence of a proper price formula. Moreover Thilak Siyambalapitiya an engineer in the energy sector stated that commencing construction work on the proposed coal power plant would serve as a viable solution to avert this crisis.